This will be in the form of regular 'sits' where the group can meditate in silence while sitting and in some cases with a short walking section. These sessions will not be taught, other than a brief description of posture and breath awareness for any beginners who are present. Instead this is a chance to sit in silence with your own meditation, mindfulness or prayerful practice, benefiting from the support that arises through sitting with a group. There will be a facilitator present at all sits, all of whom are existing teachers or therapists at Maitri Studio. Booking is not required so you can just drop-in. We are not sure what times will suit people so we will start with an 8-week trial of the following times. We can then review what works for people and we can adjust from there. 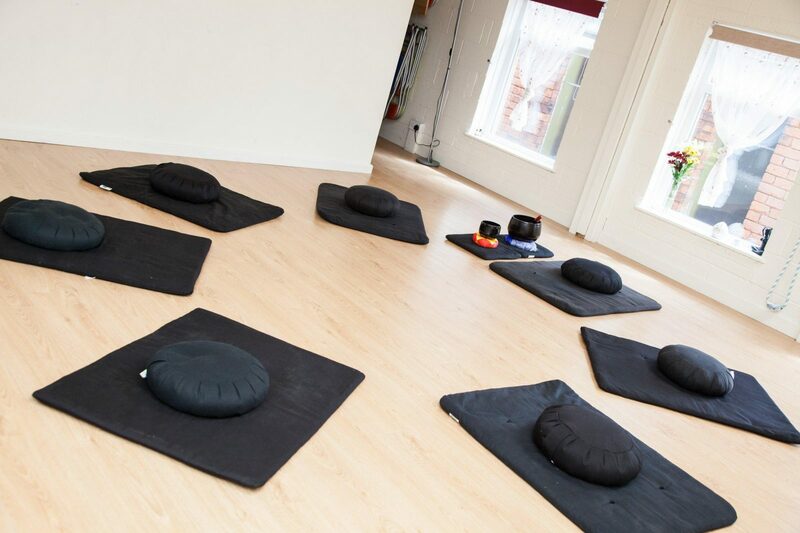 Saturdays 8.30-9.30am - an hour's morning session (Sunflower room), also prior to yoga at 10am. Sessions will start in the week beginning 5 February 2018 and run initially until the end of March (Easter weekend), when we will review before continuing in the late spring/summer term.